When it comes to travelling in South East Asia there are two countries I get asked about a lot – Thailand and The Philippines. Having been popular for backpacking for years Thailand is a firm favourite for anyone heading to South Asia where as The Philippines seems to be the biggest up and coming destination in South East Asia – with popularity booming in the last few years. So if you’re planning a trip to this part of the world and trying to decide where to travel in South East Asia it can be a tough call – especially if you’re looking to hit up a single destination. So Which Is Better – Thailand Or The Philippines? I absolutely love spending time by the beach (shock horror, what a surprise!) and if you’re on the look out for a good stretch of sand to enjoy on your trip to South East Asia there are heaps of spots to choose from. Thailand offers up popular spots like Phi Phi, Koh Tao, Koh Phangan as well as more off the track favourites like Koh Lipe all of which offer their own slice of paradise – with palm tree fringed beaches, clear tropical waters and laid back vibes. But if island time is you main purpose for exploring South East Asia then the Philippines wins hands down – with over 7,000 to choose from! And with islands and beaches like Palawan and Boracay consistently voted amongst the best in the world it certainly wins this round no worries. As a vegetarian I found the food options in The Philippines incredibly limited and more often than not I ended up with very basic, similar meals each day. Having spoken to my non veggie buddies though they certainly agree that in comparison to the Thailand and the rest of South East Asia the food in The Philippines isn’t quite as appealing, so you can probably see where this is going! That being said though if you’re into seafood the island offer some of the freshest and best you’ll taste and f you’re feeling adventurous make sure you try Balut – it’s a fertilised egg which is quite a popular Filipino delicacy! On the flip side the food in Thailand is one of my favourite reasons to visit! From a creamy Massaman Curry (probably my favourite dish in the world!) to spicy papaya salad and of course the ever popular Pad Thai the variety of food on offer means you’ll never be feeling hungry. Street food throughout Thailand is affordable, varied and most importantly delicious and if you’re a foodie you’ll be spoilt for choice. Veggies will have no problem in Thailand either – with most dishes offering the choice of veggies or tofu alongside chicken, beef or seafood. And if you are craving something a bit more Western you wont find it hard to locate a good burger, pizza or even plate of pasta on your travels. One of the joys of heading to an area like South East Asia is the culture shock – the nosies, the smells, the heat, the chaos, it’s all part of what makes travelling in South East Asia so amazing. With it’s rich history, language barrier, abundance of temples and organised chaos Thailand really is a must do for those looking to immerse themselves in a vibrant and intriguing culture. Whether you’re marvelling at golden Buddha statues in the ornate temples, meeting jungle tribes or kicking back with a coconut on the islands for me Thailand has that instant gratification and realisation that you’re a long way from home and have a lot to learn about. The fact that most of the Philippines speaks fluent English and is Catholic makes it feel slightly less exotic when it comes to the culture side of things. Sure there are heaps of historic sites to visit and traditions to learn about but in comparison it’s not quite the exotic culture shock that Thailand seems to offer. If you’re travelling a country you’ll get the most out of your experience by meeting the locals – whether you’re in South East Asia, Australia or South America. Friendly Locals Showing Off Tonights Dinner! Thai people are very used to the whole tourism industry now and that can be a bit of a double edged sword. On one hand I’ve experienced amazing hospitality from Thai locals but on the other I’ve also felt like I’m constantly being ripped off! A lot of the time I feel like I’m keeping my guard up when travelling around Thailand – especially when it comes to shopping or haggling for taxis. It doesn’t mean I don’t have a good time or try to chat to people, it’s just something I’ve noticed a bit more lately. Filipinos however are some of the warmest and most welcoming people I’ve ever met on the road. The fact that everyone speaks English quite fluently is a huge bonus, which not only makes day to day life here pretty easy but it also means you can get to know the locals a bit more. …and if you really want to experience Filipino hospitality make sure you join them for some karaoke! Sure there’s always going to be the odd person trying to rip you off or looking for trouble, but on the whole I absolutely love the Filipino people and it’s always a pleasure meeting them. Never A boring Day In Asia! Everyone is keen to tick a whole heap of awesome activities on their bucket list when they’re on the road and Asia is crammed full of some amazing experiences to get involved in – and luckily both Thailand and The Philippine offer a whole array of stuff to do! From surf camps on Siargao (like the amazing Kermit Siargao) to island hopping on Palawan. 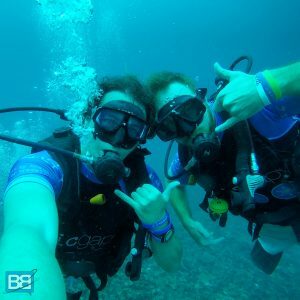 Beach parties on Boracay to world class scuba diving. The Philippines has pretty much all bases covered and you wont find it difficult to pack your itinerary full of adventure! Thailand is packed full of incredible activities too – from exploring temples in Bangkok to learning to scuba dive on Koh Tao. Cruising around rice paddies in Pai to zip lining through the rainforest – again no matter which part of the country you decide to explore there is plenty on offer. One of the biggest advantages Thailand has over the Philippines is the ease of travel. 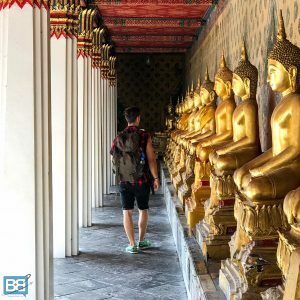 Walk into any hostel in Thailand and you can easily book your onward travel, whether you’re just island hopping from Koh Tao to Koh Phangan, an overnight sleeper train from Bangkok to Chang Mai or even make your way over the border from Thailand to Cambodia…it’s super easy and cheap to book! This makes it ideal for those “winging it” and who want heaps of flexibility in their plans. The Philippines on the other hand can be a bit more difficult. With over 7,000 islands it’s best to figure out your travel plans in advance as many trips will involve internal flights, which more often than not mean transiting back through Manila. This means booking in advance is the best way to secure the cheapest price – so landing in The Philippines and figuring out your trip from there can be rather costly. If you’re tight for time it can also be a risk as you might find yourself spending a lot of your trip in transit. If you’re looking to make the most of your time and money in both destination though there are a variety of Thailand Group Tours or Philippines Group Tours that are worth checking out. When it comes to international travel to and from both countries there are certainly more options and most importantly budget airlines when it comes to flying to/from Thailand, but that being said there are also some epic deals to/from The Philippines, especially with Cebu Pacific. One of the main reasons people choose to travel South East Asia is the fact it’s so cheap and budget friendly – and I can’t blame them, it’s one of the reasons I end up back there so much too! And most destinations in this part of the world are similar in price (with the notable exceptions of Singapore, Hong Kong and Taiwan), with the day to day living in both Thailand and The Philippines being very budget friendly. As you can see there isn’t much in it at all. Overall though the big divide comes with many of the point I mentioned about the ease of travel and if you factor in internal flights and travel costs The Philippines does work out more expensive than Thailand, although admittedly this does depend on where you want to hit up. …so Thailand wins this one! 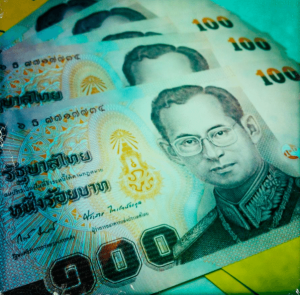 If you’re wanting to look more into the costs of both countries check out my Budget For The Philippines and Budget For Thailand posts for a more detailed breakdown. 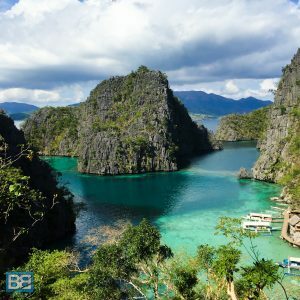 The Philippines is made up of over 7,000 islands – so it’s pretty obvious there is going to be heaps of variety in there and no matter what your style of travel or reason for travelling you’ll be spoilt for choice in the Philippines. 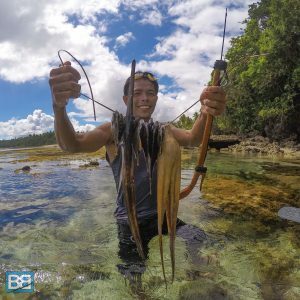 Whether you want to explore the tropical waters of El Nido, discover the UNESCO world heritage site of Puerto Princessa Underground River, meet the extremely rare but cute Tarsier in Bohol, surf world class waves on Siargao or scuba dive incredible shipwrecks off of Coron there really is something for everyone. 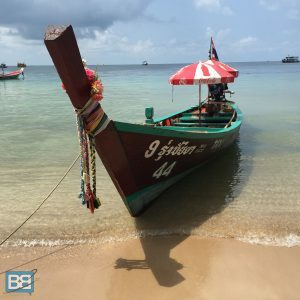 Don’t get me wrong, but Thailand has heaps of variety – from the jungles around Chang Mai and the bustling cityscape of Bangkok to the stunning beaches of Koh Phi Phi or Koh Tao – but in comparison there just isn’t quite as much to choose from! Honestly, you’re not going to go wrong deciding to explore either Thailand or The Philippines – the both have so much to offer! For first time travellers or those new to South East Asia Thailand is certainly much easier, so in that respect it’s a good place to start. 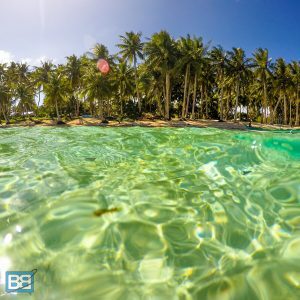 However for those looking for something a bit more off the beaten track, a challenge or something new The Philippines has so many island to choose from you can’t fail to find somewhere that suits your style! Ultimately though it comes down to where your priorities lie – for me that boils down to beaches and surf…which means The Philippines is still my favourite of the two! Have you travelled to Thailand and The Philippines? I have not been to the Philippines yet, but you had me sold at karaoke! I have already been to Thailand too.